When a two-week old elephant, abandoned by his herd and suffering from a slew of ailments, arrived at South Africa’s Thula Thula Rhino Orphanage last year, it was doubtful that the tiny calf would survive. 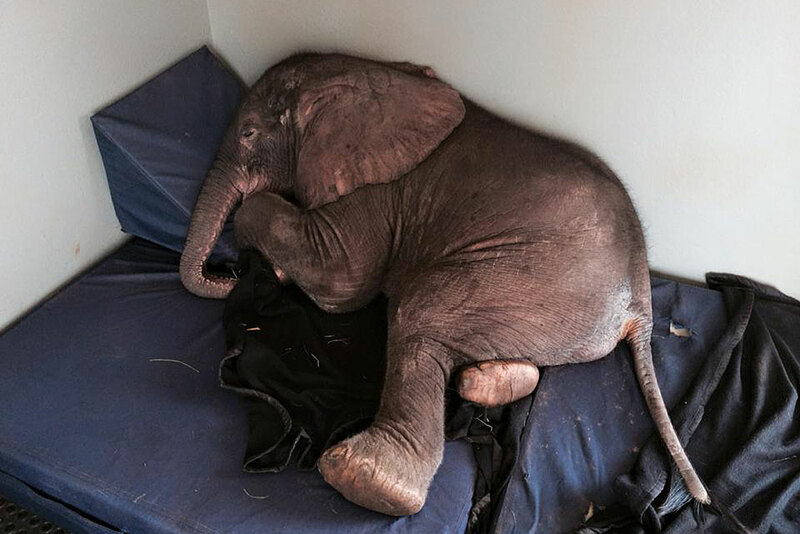 “Unless you have nursed an elephant calf and especially one that is a tiny, milk-dependent baby with a large umbilical abscess, naval/joint illness and septicaemia, you cannot even begin to imagine the intensity and challenge,” Karen Trendler, rehabilitation and crisis response expert at the orphanage, wrote on Facebook. When T. rex cranked open its jaws, just how wide could it go? Alright people, round two: Can you spot THIS snake?